August 11 to 16, 2019 (Book Now!) – TOUR A GO! 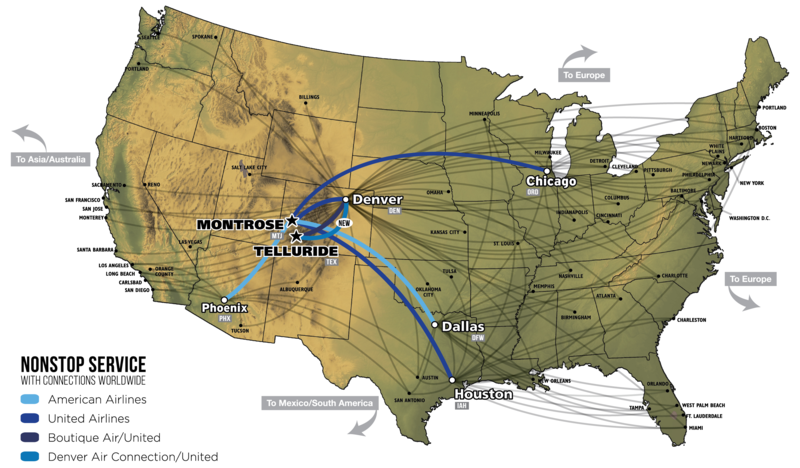 Starting Town: Telluride, Colorado, Fly into Montrose Regional Airport (MTJ) in Montrose, Colorado. The tour meets on the morning of Day 1 in Telluride, Colorado. 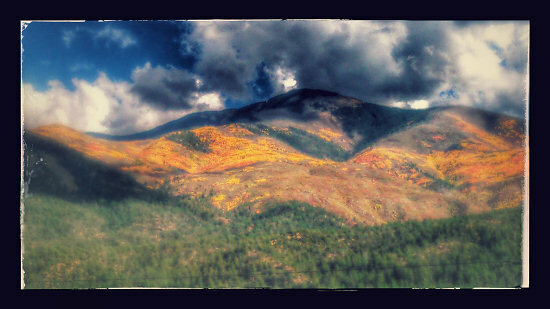 Ending Town: Taos, New Mexico (Fly out of Albuqurque, New Mexico). Guests are on-their-own to arrange the Saturday morning shuttle from Taos to Albuquerque. 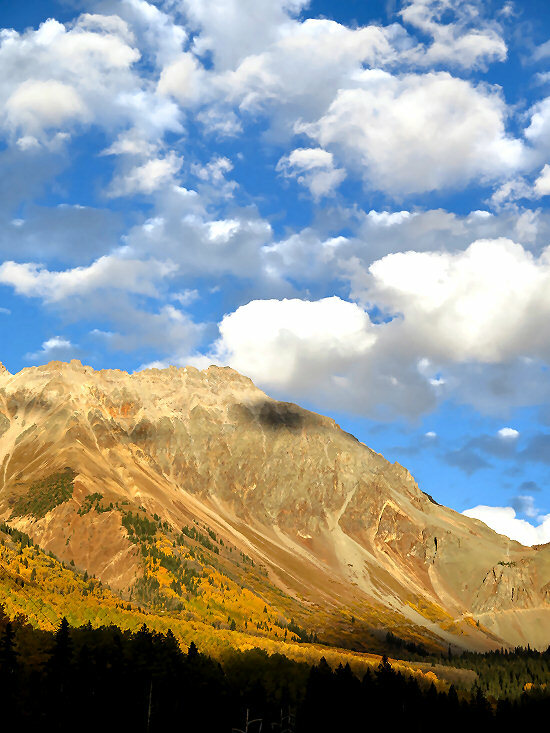 Click here for some suggestions on how to get to Telluride, Colorado from the Telluride Tourism Board. If you flying to the start of the T2T, arrange for one of the regularly scheduled shuttles to Telluride. Departs Montrose once a day for Telluride at 3:11pm. NOTE: Bus station is only about ½ a mile (can be walked or Try Uber) from the airport to the Montrose bus station. If you will be driving to the start of the T2T, there are two options. 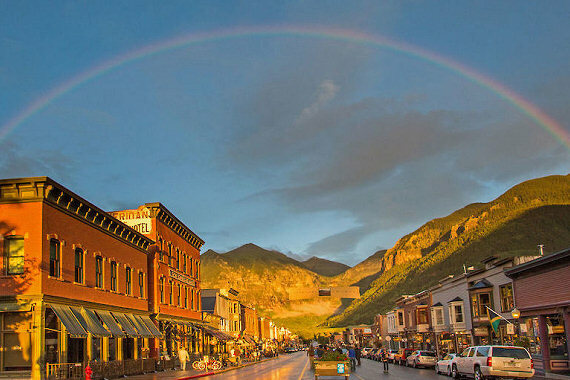 Either drive to Durango and leave your car there or drive to Telluride and leave your car (for summer 2019 we now have limited parking available). 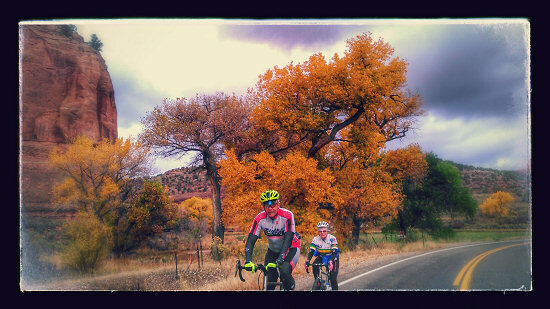 Following Day 6’s Enchanted Circle Ride, the Lizard Head Cycling van starts the drive back towards Telluride. If you would like to be on this shuttle, the cost is $70-. 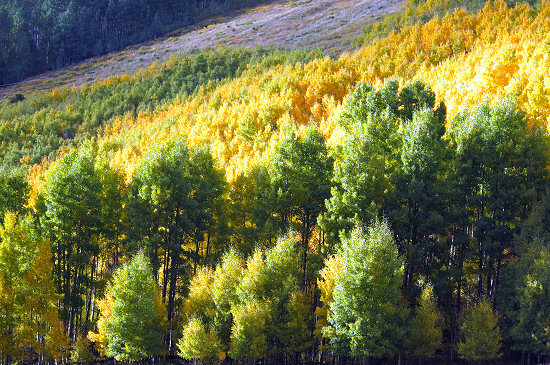 Guests are responsible for their own pre-tour lodging in Telluride. 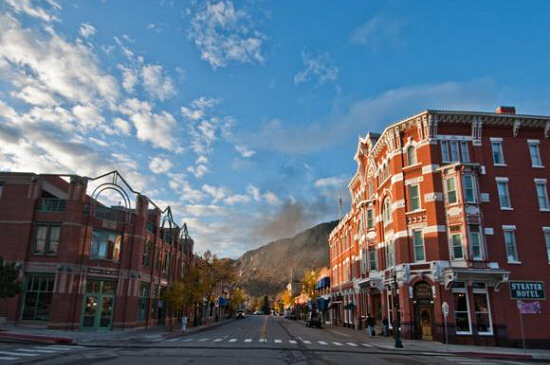 We recommend making your pre-tour lodging reservations in Telluride at either the Camel’s Garden Hotel, Victorian Inn (least expensive), New Sheridan Hotel or Mt Lodge (a lessor expensive option in Mt. Village with parking). Bikes can be shipped to Lizard Head Cycling’s office in Telluride/Ophir for pre-tour assembly. We will bring them to the start. Guests fly out of Albuquerque, New Mexico. After the tour final night’s lodging (Day 6), the following morning guests make a return arrangement from Taos to Albuquerque. We suggest the Ski Taos shuttle service. 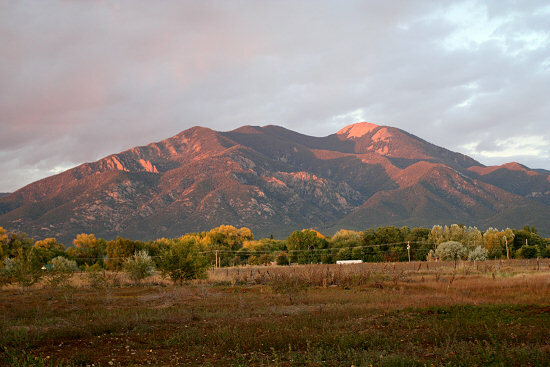 The shuttle takes about 2.5 hours from Taos to Albuquerque and departs the Town of Taos at 8:00a & 12:00p. For more information or to book, follow this link. A second option is too rent a vehicle and drive to Albuquerque stopping in Santa Fe. 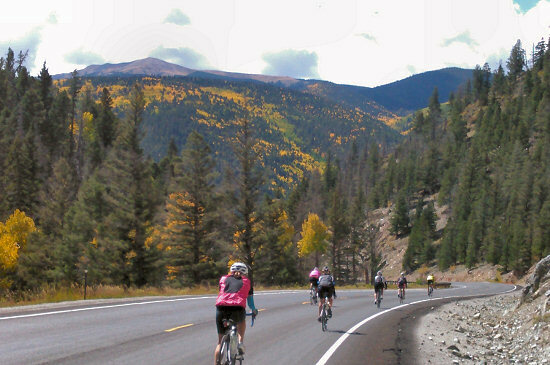 The Telluride-2-Taos bike tour includes easily assessable mileage options for the EFI’er to the Intermediate level cyclist. We have previously run the T-2-T with mixed rider abilities and had good success. Tour Includes: 6-nights of lodging, 5-days of meals, guide service, entrance fees, daily lunch en route, energy food, liquid refreshments, mechanical support and special gift. Alcoholic beverages, massage & bike rental are additional. Tour Cost: $2,690 per person. 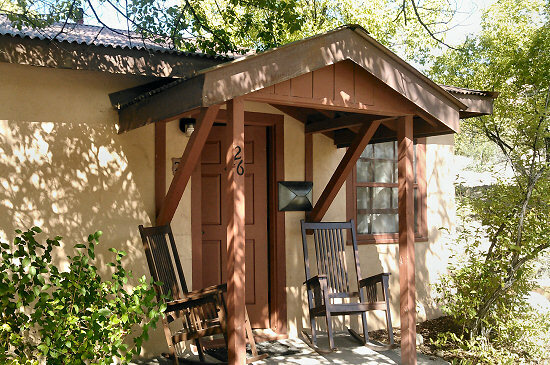 Single Room Supplement: Add $590 to the Tour Cost for a private room each night of the tour (6 nights). 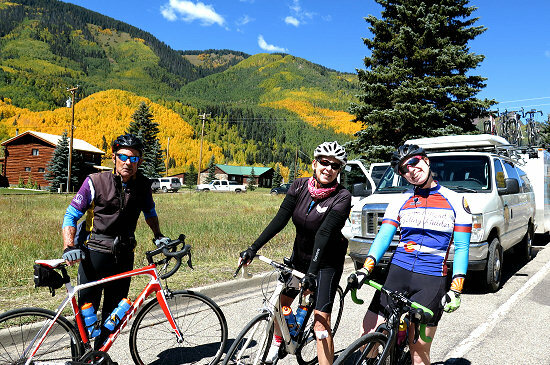 Cyclists fly into Montrose, Colorado and take a shuttle up to Telluride to check into their first night’s lodging. See logistics for driving above. 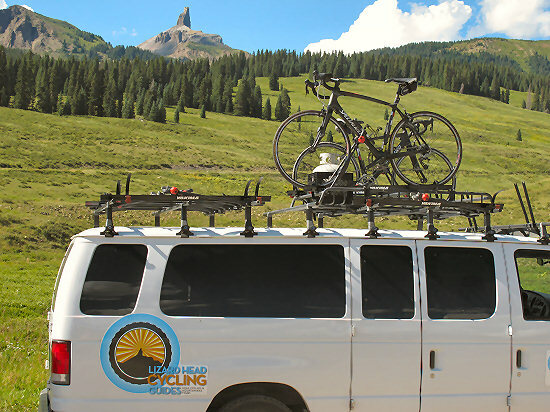 Bikes can be shipped to Lizard Head Cycling’s office near Telluride for pre-tour assembly. 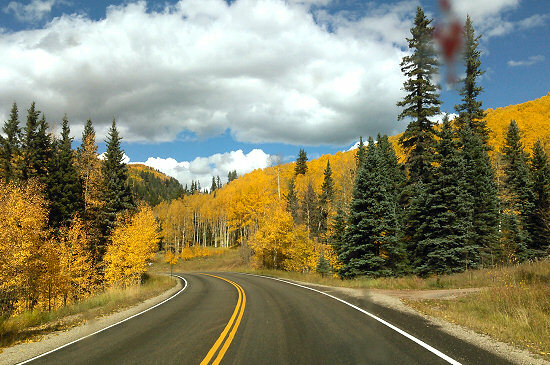 Day 1 offers a spectacular ride from Telluride over Lizard Head Cycling;s namesake pass and then mostly downhill for 50-miles to Dolores, Colorado. The E.F.I. 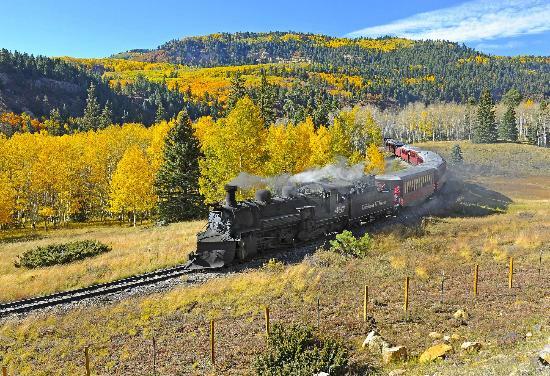 option is a full century ride of 111-miles with a point-to-point ride from Telluride to Durango. Both routes follow the Rio Dolores from Lizard Head Pass to the town of Dolores. 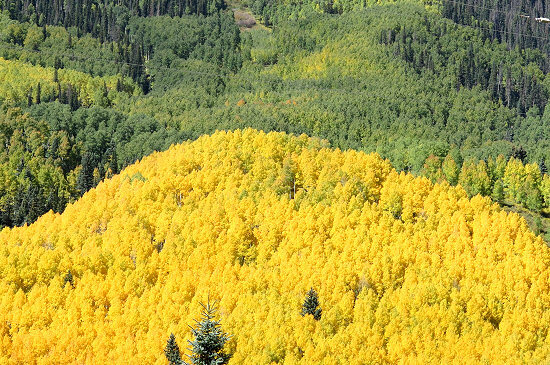 From Lizard Head Pass it is a near 50-mile net descent to Dolores making for a cruisy ride through the San Juan National Forest. Welcome to Lizard Head Peak! 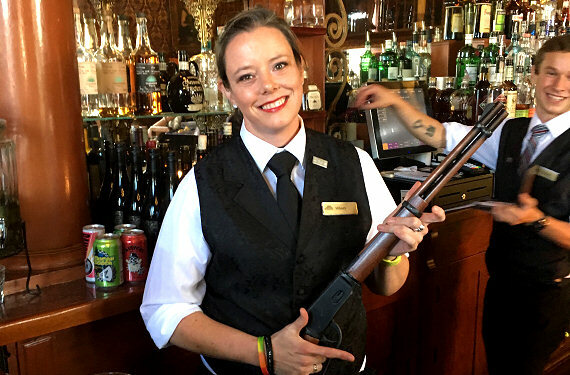 Don't mess with the staff at the Strater Hotel! 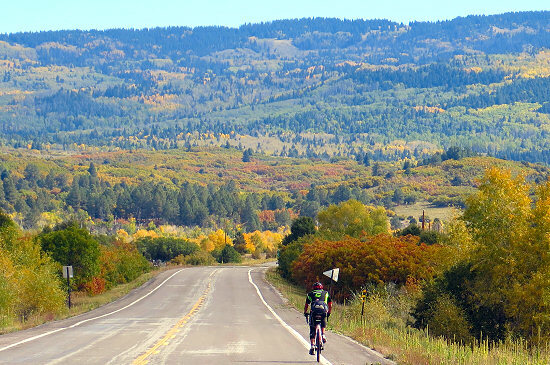 Starting from downtown Durango, cyclists start the day pedaling up into the Florida River Valley and then down through the Los Pinos River Valley to Bayfield. From here the route heads due east over Yellowjacket Pass through parts of the San Juan National Forest, past Haystack Mountain and ends at the body and soul refreshing hot springs of Pagosa Springs. 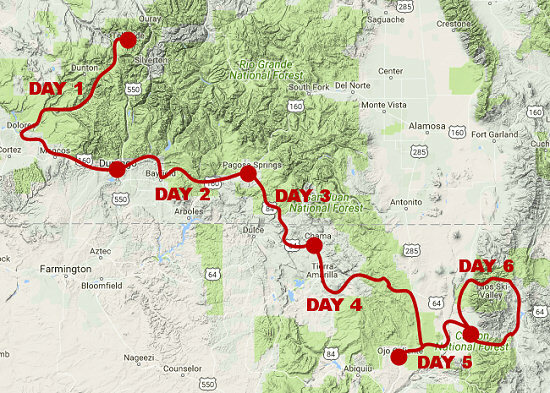 With a shorter ride day on tap, we start mid-morning from Pagosa Springs heading south and as we near the New Mexico border, you can almost get a whiff of the state’s famous and fragrant green chile. We soon cross both the New Mexican border and the continental divide while pedaling a remote and hilly route to Chama, New Mexico. Today’s ride climbs the formidable Brazos Pass to 10,000-feet and descends into the Rio Grande Valley to the exclusive Ojo Caliente Mineral Springs Resort & Spa. 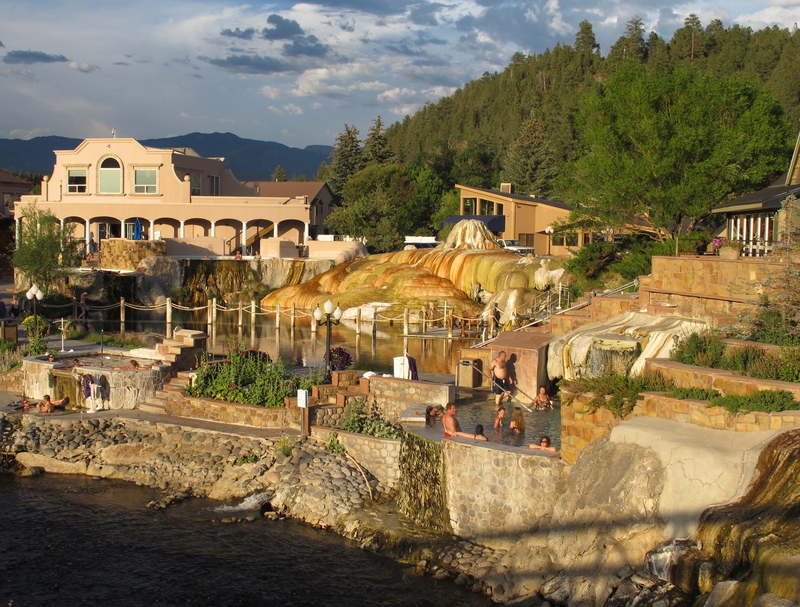 Steeped in myth and legend, these ancient springs have been a gathering place and source of healing for thousands of years. The use of the waters can be traced back to the earliest human migrations in the region. Ancient peoples, the ancestors of today’s Native American Tewa tribes, built large pueblos and terraced gardens overlooking the springs. Surrounding the springs are the ruins of the cities populated before the birth of history. 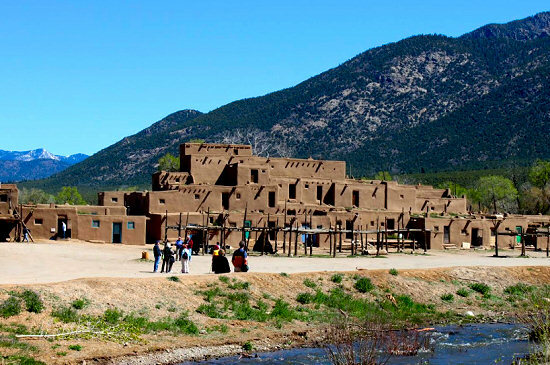 After a relaxed morning at Ojo we’ll ride from the Ojo Caliente Mineral Springs to Taos, New Mexico and stay at the El Monte Sagrado. 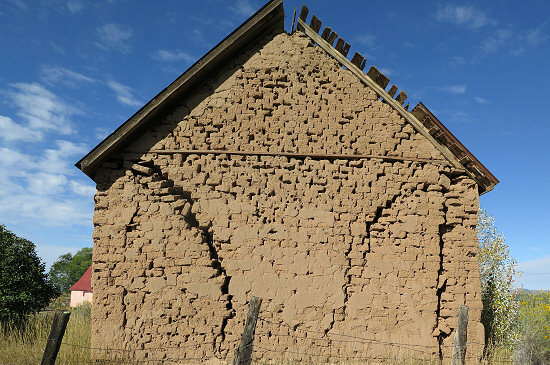 Taos is an artist’s destination of international acclaim and home to the Taos Pueblo Indians. Along the way we’ll cross the spectacular Rio Grande Gorge Bridge. Post tour following Day 6 cyclists wake and shuttle from Taos to Albuquerque (2.5 hours) and fly out of Albuquerque, New Mexico. Southwest and Delta airlines (among others) service Albuquerque. NOTE: Guests are on-their-own to arrange the Saturday morning shuttle from Taos to Albuquerque.